Your Skalptec partnership is designed to help you succeed. Setting up on your own is a daunting task, but it doesn't have to be with the right support and mentorship. Whatever you need, we're here to help you find your way and build your personal reputation as a world class technician. The scalp micropigmentation industry is booming. Almost daily, someone somewhere in the world sets up shop as a new SMP technician. 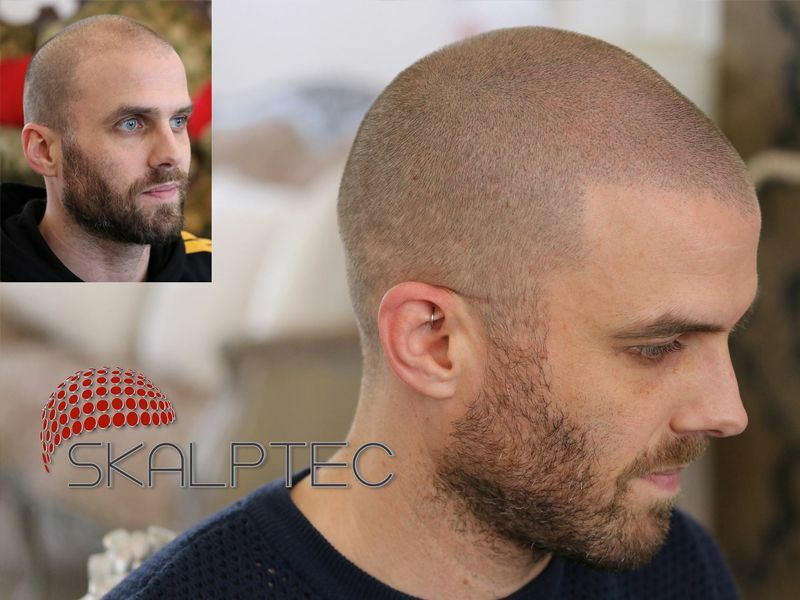 We estimate there are more than 1000 technicians worldwide now offering a scalp micropigmentation service, at least 100 of which are based in the United Kingdom. If you want to set up your own clinic, or add scalp micropigmentation to your existing service offering, you have a lot of things to consider. First, you need to learn the technique. The scalp micropigmentation process is nothing like tattooing or permanent makeup, and requires a new set of disciplines to produce high quality results. You also need the right machine, the right needles and a suitable pigment. None of these things are easy to find, as many of the products advertised are simply not suitable for scalp micropigmentation. Finally, you need marketing and general business support. Where will you set up? What other fixtures and fittings do you need? How will you find customers? How much should you charge? What will you do if something goes wrong with one of your clients treatments? All these considerations could quickly overwhelm the budding entrepreneur, and kill off your new enterprise before it's even started. At Skalptec, we're passionate about quality. That's why we're growing our company slowly and sustainably, as and when we find great partners to work with. Our current partnerships include independent Skalptec clinics in Aberdeen, Jersey, London, Newcastle and Rotterdam, and we're looking for new partners to help us grow further. First class training with one of the worlds most experienced technicians. Rare access to the very best machines, needles and pigments. Advice and support during the setup stage. Instant access to the Skalptec brand, including photos and videos to showcase our results. For more information on our partnerships contact Terence Jones by calling him on 0845 625 0025 or you can send us a message by clicking here.